If you’re looking to add some speed to your workouts, consider adding some Variable Sprints (or Sprint Medley’s as they are called in some circles). Variable Sprints are a type of SP3 set. In layman’s terms, you should be sprinting as fast as you can but you should feel comfortable because you aren’t sprinting long enough to tax other energy systems. I had one coach use the term “Easy Speed,” whenever explaining SP3 sets to us. You can swim them all freestyle or you can do rounds of other strokes. Often, we would do 12 x 25’s Variable Sprint IMO (Individual Medley Order) by round. That means four fly, four back, four breast and four free. Sometimes, we’d go in IMO within the round. So, the rocket would be butterfly, we’d swim our reverse rocket backstroke, build the breaststroke and sprint the freestyle. Sometimes we’d use equipment. I love doing Variable Sprints with fins on. If you want to kick them, that is fine too. You can even swim them sub kick (streamline kicking underwater). As you can see, Variable Sprints are limitless in their application. They get your heart rate up but won’t make you sore the next day. As you get better at them, try not to breath during the fast parts. Sometimes, during the taper phase of a season we would swap out the build 25 for a drill 25. 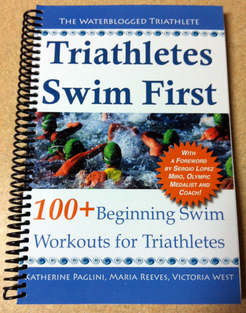 The focus of a Variable Sprint series is fast swimming and fast swimming only. Don’t think about anything during the fast parts. Just go for it. (On a side note, don’t attempt variable sprints until your stroke technique is efficient enough to swim fast without injuring yourself). If you want to try variable sprints but aren’t ready to incorporate your arms, you can always kick them as an alternative.